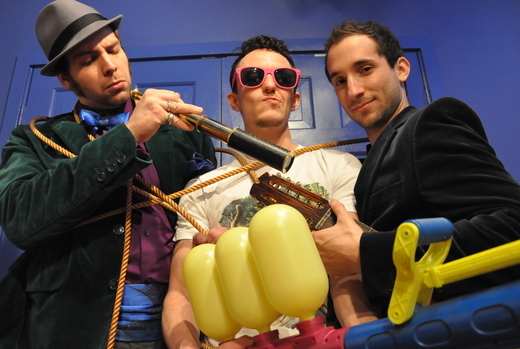 Cobalt & the Hired Guns is a boot-stompin’, tambourine-shakin’, irresistibly genuine good time. Seamlessly blending upbeat genres from Americana to PopPunk, this dynamic four piece puts on a rambunctious show filled with emotion and sharp musicianship. This band is about love and guts, energy and enthusiasm – refusing to pretend they aren’t having fun. 2008’s Jump the Fence saw the band getting serious about art and environmentalism – the album was a carbon neutral project – and the new Double Single (”You Left Your Sweater” & “Of Summer”) aims for the rafters with a one-two punch of rip-roaring cow punk!